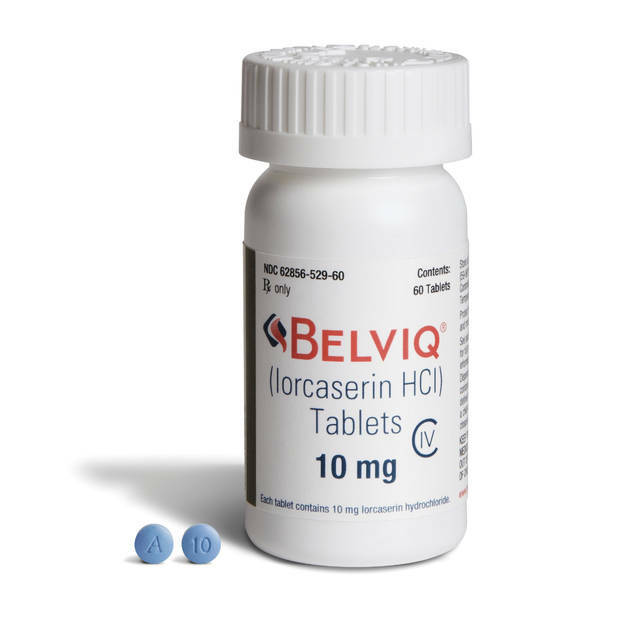 The drug, Belviq, has been sold in the United States since 2013 and is the first of several new weight-loss medicines to succeed in a long-term heart safety study now required by federal regulators to stay on the market. Belviq is an appetite suppressant that works by stimulating brain chemicals to give a feeling of fullness. It costs roughly $220 to $290 a month in the United States. Brandon Peters-Mathews does not work for, consult, own shares in or receive funding from any company or organization that would benefit from this article, and has disclosed no relevant affiliations beyond their academic appointment. The serious consequences of sleep deprivation perennially capture society’s attention. And, as kids head back to school, sleep and a lack of it are of particular concern. I am a clinician and sleep researcher who treats people with sleep problems. I think there is little reason to suspect that our collective sleep needs have dramatically changed in the recent past, rooted as they are in immutable physiological processes. We should, however, be paying attention to our sleep needs, and that isn’t as hard as it sounds. From a clinical perspective, sleep is defined as a reversible behavioral state of unresponsiveness and perceptual disengagement from the environment. It is dependent on the balance between sleep drive – the desire for sleep that builds during wakefulness and is linked to the accumulation and clearance of chemicals within the brain like adenosine – and the circadian alerting signal. The circadian rhythm coordinates processes of the body to the environmental patterns of light and darkness. Adequate sleep is and always has been restorative to the body. Giving sleep respect, and preserving it to the benefit of health, has not been so permanent. Sleep needs change over one’s lifetime. Toddlers may require 11 to 14 hours of sleep to feel rested and typically take naps. If someone eats too many calories, or too few, the effects on the body become apparent. Unfortunately, there is no “sleep scale” to step onto to gauge the physical tolls of sleep deprivation. Sleep deprivation, either from not allotting enough time to get sufficient sleep or due to sleep disorders like insomnia, may have important consequences. Fortunately, the first step to better sleep is recognizing its importance – an objective that has hopefully been achieved. Now, consider making a few changes and, as necessary, access further resources to yield the long-term benefits to health and well-being that only sleep may provide. Tim Logan does not work for, consult, own shares in or receive funding from any company or organization that would benefit from this article, and has disclosed no relevant affiliations beyond their academic appointment. Before you see it, do you smell it? Duane Mitchell holds patents related to brain tumor immunotherapy that have been licensed by Celldex Therapeutics, Inc., Annias Immunotherapeutics, Inc., and Immunomic Therapeutics, Inc. He is the co-founder of, iOncologi, Inc., a biotechnology company focused on cancer immunotherapy treatment. . He serves as an advisor for Bristol-Myers Squibb, Inc., Tocagen, Inc., and Oncorus, Inc. He receives funding from the National Cancer Institute, Department of Defense, and several private foundations focused on brain tumor research and treatment. Sen. John McCain withstood beatings and torture as a prisoner of war, but he was confronted with an enemy in July 2017 that he was ultimately unable to overcome. An aggressive and deadly brain cancer known as glioblastoma, or GBM, took McCain’s life on Aug. 25, 2018. The man noted for his unstoppable resilience, pervasive optimism and uncompromising personal ethos was not able to conjoin forces with the marvels of modern medicine and defeat the insidious enemy of brain cancer. Why is GBM so deadly? Why have so many individuals, with presumably all the physical and financial resources that can be amassed readily available to them, been unable to conquer this dreadful enemy? Sen. Edward M. Kennedy died from the disease exactly nine years earlier. In 2015, GBM also claimed the life of Joseph “Beau” Biden III, son of Joe Biden, the former vice president. It kills about 15,000 people in the U.S. each year. Most people diagnosed with the disease survive less than two years. Has GBM been cured in any individuals, and if so, why not in most who are affected by this disease? I am a physician and scientist who studies ways to stop GBM. Despite the sadness and great loss we feel at Senator McCain’s passing, we are making progress in the treatment of this disease. By 1970, cancer had become the second-leading cause of death in the United States. It still is today, claiming about 600,000 lives a year. In 1971, President Richard Nixon signed the National Cancer Act. While the legislation did not contain the phrase “War on Cancer,” those words quickly caught on. A concerted quest to find a cure for malignant diseases had begun. The landmark legislation broadened the authority of the director of the National Cancer Institute (NCI) to implement research programs and cooperate with other agencies to direct educational efforts focused on reducing cancer mortality in the U. S. The act created a “bypass budget” for the NCI that is submitted directly from the NCI director to the president of the United States and to Congress, highlighting the priority put on reducing cancer mortality by the U.S. government. The NCI investment in cancer research, along with billions of dollars from the pharmaceutical industry, have undoubtedly had a profound positive impact on the prevention, diagnosis and treatment of cancer. However, unlike the decade of success embodied by our nation’s quest to put a man on the moon, winning the war on cancer has proven to be a much more elusive goal – and much longer than 10 years. While decades of research have led to many new, effective treatments, research also has revealed a marked complexity in many cancers, particularly those that have spread beyond the site where the tumor originated. GBM was the first cancer to undergo comprehensive genetic analysis as part of the multibillion-dollar NCI-led project called “The Cancer Genome Atlas.” This ambitious quest sought to completely analyze the gene expression patterns and DNA sequence of several human cancers and make the data publicly available for scientists to study. It has been a game changer in the assault against cancer. Scientists have learned, for instance, that GBM, like many cancers, is not a single disease. Even though two patients may receive the same diagnosis of GBM and may have tumors that look almost identical under a microscope, at the cellular level these tumors can be quite different, with different mutations in the DNA code and different pathways driving tumor growth. This understanding means that a single therapeutic approach is very unlikely to work the same in all individuals with the same diagnosis of GBM. Essentially, these patients really don’t have the same disease. This new understanding, while tremendously important in shaping our strategies for treating GBM going forward, also raises the realization that the enemy we face in GBM is even more insidious than thought. To add to this complexity, we understand now that even within a given patient’s tumor, the individual cancer cells can even differ significantly from one another, having diverged over time through rapid growth and through the accumulation of different mutations within different tumor cells. This means that the same treatment hitting the tumor cells within a single patient will likely not kill all cancer cells with the same effectiveness. This allows resistant tumor cells within the population to grow back in the face of treatment that may have been initially effective. Tackling this complexity at the cellular level to develop treatments that are effective against all tumor cells within a patient is a major challenge for tumors such as GBM. It likely accounts for much of the resistant nature of the disease. An additional characteristic of GBM is the invasive nature of the disease. GBM tumor cells essentially crawl away from the main tumor mass and embed themselves deep within the normal brain, often hidden behind a protective barrier known at the blood-brain barrier. This invasive feature means that while neurosurgeons can often remove the main central tumor mass of a GBM, the invasive finger-like projections protrude into other areas of the brain. The distant islands of tumor cells that have migrated away cannot be effectively removed by surgery. Radiation treatment is effective in controlling tumor growth, but there are limits to the doses of radiation that can be delivered to normal brain. Chemotherapy treatment with temozolomide currently can extend survival on average by several months. But the blood-brain barrier, or specialized cells that keep threats away from the brain, restricts many drug treatments from getting into the brain, and the mixed populations of tumor cells are already poised to grow out of the cancer cells that are resistant to the agents that do get through. When one takes an inventory of what we’ve learned about GBM, it is easy to become discouraged and perhaps to conclude that we are facing an insurmountable foe. Such a conclusion might be warranted, were it not for the fact that despite the incredible complexity and challenges faced in successfully treating GBM, long-term survivors of this disease do exist. Long-term survival, or five years or longer from time of diagnosis, with standard treatment regimens is reported at 9.8 percent from a systematic study of 573 patients with GBM. While 9.8 percent is an unacceptably low rate, it is demonstrable evidence that long-term survival is feasible. We have learned that survivors tend to be younger than 50, have tumors that were able to undergo more extensive surgical removal at diagnosis, and have molecular features that predict a better response to the chemotherapy. Recent advances in the treatment of GBM have also brought the advent of a new device technology that delivers alternating low-intensity electric fields called tumor-treating fields. Long-term survival data has not yet been reported for the addition of tumor-treating fields to standard treatment, but a median survival improvement of 4.9 months from 16.0 months to 20.9 months was reported in a recently completed phase III clinical trial involving 695 patients. It is possible that an improvement in long-term survival rates will also be observed in patients receiving this combined treatment. Perhaps our greatest hope comes from emerging therapeutic strategies such as immunotherapy and personalized medicine approaches. Our immune systems are hard-wired to deal with complexity and variety, needing to respond rapidly and effectively to a myriad of unknown and changing infectious threats from the environment. The field is just beginning to understand how to harness this potent and adaptable killing power to hone in on cancer cells in a comprehensive way. We have observed encouraging long-term survival outcomes in patients with GBM during our early phase clinical trials of immunotherapy and are currently evaluating the effectiveness of these treatments in large-scale clinical trials at our medical center. The war on cancer has certainly proven to be harder, longer and more complex than many envisioned in 1971. While tremendous gains have been made in cure rates for some malignant diseases like childhood leukemia, GBM has perhaps stood stalwart in resistance over the decades to transformative progress. However, through diligence and persistence, we have begun to better understand the enemy we face at the root of this invasive brain cancer. This understanding has transformed our plans of attack and has begun to bear evidence that breakthroughs are possible and forthcoming. Sen. McCain will be remembered for his many contributions, accomplishments and sacrifices in service of his country. He is also but one of the 600,000 Americans and 8.2 million people worldwide whose life will be claimed by cancer this year. Among the many things to be remembered, honored and cherished about his life, let the fighting legacy of this warrior remind us that war on cancer goes forward in his memory, and in honor of all that have been and will be impacted by this disease.